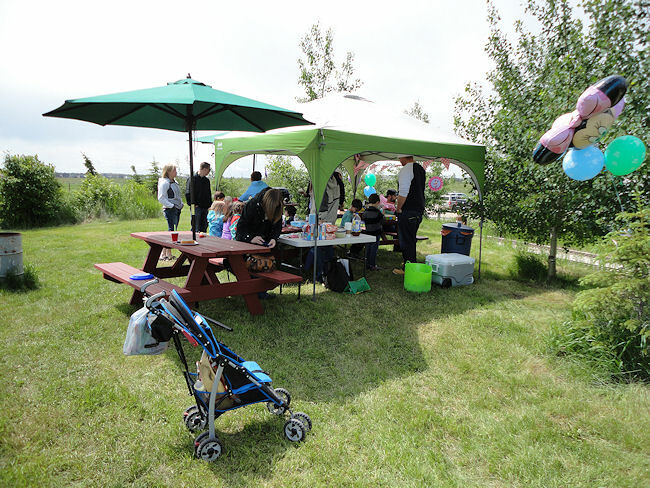 Birthday Party, a Picnic or Other Event at Iron Horse Park. Croft Hollow (Outdoor facility only with semi enclosed shelter). Cozy outdoor area close to the outbound mainline track. 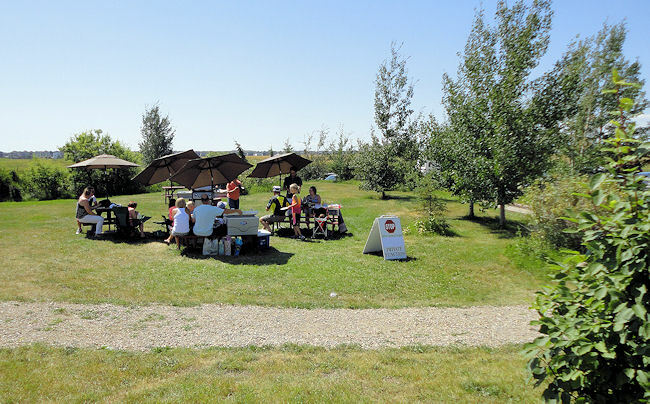 Our newly built semi enclosed shelter is located between the trees behind the tables. A special one-time Party deal of "20 journeys for $20"
In case you have any additional questions, email us at birthdays@ironhorsepark.net. Make sure to include a phone number where you can be contacted. our usually sunny Alberta skies but they are permitted. 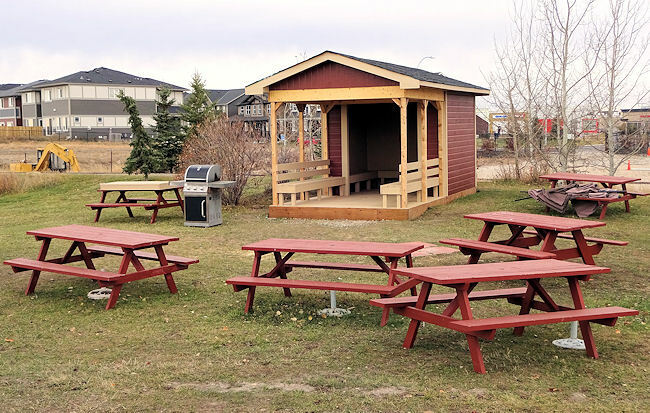 A new, semi enclosed shelter was completed late in 2018.
our usually sunny Alberta days decide to turn windy or rainy. Always check our Facebook page for any late breaking updates.